Mumbai: The benchmark stock index rose the most in seven weeks after finance minister Pranab Mukherjee said economic growth may accelerate at a faster pace. 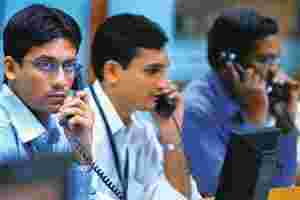 The Bombay Stock Exchange’s Sensitive Index, or Sensex, added 539.11 points, or 3.2%, to 17,231.11 on Wednesday, the most since 4 November. The S&P CNX Nifty index on the National Stock Exchange rose 3.2% to 5,144.60 points. The BSE 200 index increased 2.7% to 2,155.46 points. The government said in November the economy may grow 6.5%. “It appears the finance minister’s statement on gross domestic product (GDP) growth has been taken positively by the market," said A.N. Sridhar, a fund manager at Sahara Asset Management Co. Pvt. Ltd in Mumbai. “When there is hope for growth in the economy, it would be prudent for the government and Reserve Bank of India to look out for other avenues other than rate increase to curb inflation." Hindalco jumped 7.7% to Rs153.40. Sterlite Industries (India) Ltd, the No. 1 copper and zinc producer, gained 5.1% to Rs847.70. Tata Steel Ltd, the biggest producer of the alloy, climbed 4.7% to Rs604.05. Mukherjee’s forecast comes after the $1.2 trillion Indian economy expanded 7.9% in the three months ended 30 September, the quickest pace in six quarters. The growth lagged behind only China among the world’s major economies. ICICI Bank Ltd gained 4.5% to Rs862.60. State Bank of India, the nation’s biggest lender, advanced 2% to Rs2,210. HDFC Ltd, the biggest mortgage lender, rose 3.2% to Rs2,645.05. DLF Ltd, the biggest developer, added 2.9% to Rs365.85. India’s central bank will probably raise interest rates at the end of January and won’t take any immediate steps to tame food-price inflation that touched an 11-year high, Morgan Stanley economist Chetan Ahya said. “There appears to be little evidence to support the view that the rise in food prices has been loose monetary policy," Singapore-based Ahya said in a report on Tuesday. “The Reserve Bank of India is unlikely to reduce food-price inflation through monetary policy action." Montek Singh Ahluwalia, Planning Commission deputy chairman, said on Tuesday that monetary policy action isn’t a solution for rising food prices. Tata Consultancy Services Ltd, the largest software services provider, climbed 3.1% to Rs746.55 while rival Infosys Technologies Ltd added 3.3% to Rs2,583.75. Wipro Ltd, the third biggest software services provider, advanced 2.2% to Rs693.50.